Today we announced that we've received British Standard 8484: 2011 (BS8484) accreditation for our lone worker monitoring solutions from the SSAIB (Security Systems & Alarms Inspection Board). BS8484 defines the industry-leading code of practice for lone worker equipment and monitoring services in the United Kingdom. 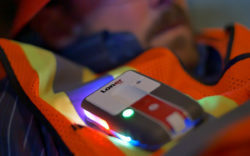 Blackline Safety offers the industry’s largest portfolio of lone worker monitoring solutions to meet the diverse requirements of customers in every industry. Now shipping, Blackline’s new Loner M6 device features a blue LiveResponse™ light that confirms to the lone worker that help is on the way. It also incorporates an industry-leading speakerphone system that projects the monitoring agent’s voice loudly and clearly while capturing the employee’s voice through a sensitive microphone. All phone calls are automatically recorded within monitoring infrastructure and available as part of Blackline’s comprehensive reporting capability. Loner M6 is compatible with Blackline’s indoor location beacon technology that accurately maps the location of employees working inside commercial and industrial buildings using an interactive Google™ map. Loner M6 uses GPS satellite signals to accurately map an employee’s location when working outdoors, however GPS signals alone are unreliable or not available when working indoors. 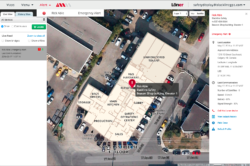 For the fastest indoor emergency response, Loner M6 and Blackline’s location beacon technology support custom floor plans to display a lone worker’s position on in context of surroundings and evacuation routes. Check out the full media release here.